At Exquisite Smiles, each of our patients receives the benefit of our experienced team’s extensive education and many years in practice. We look forward to meeting you and helping you take care of your oral health! Rajeev graduated from the prestigious University of Mumbai in 1997, following his passion for smile design and putting apprehensive patients at ease. He ran a practice in Mumbai for 14 years before moving to Australia in 2011. He’s qualified through the Australian Dental Council examinations and worked in Mackay for two years before relocating to Redcliffe, working in private practice. When not in the practice, Rajeev is a family man who loves to unwind by cooking scrumptious Indian delicacies for his family and friends. He has been married to his college sweetheart for more than 15 years, and they are blessed with two sons. 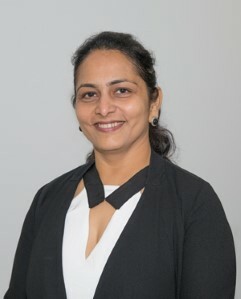 Jigna qualified as a dentist in India and ran a successful practice for 15 years, acting as manager while seeing patients. She’s married to Rajeev, and their move to Australia has allowed her to spend more family time with their two sons. She’s well-versed in all areas of dentistry, which is of great assistance to our patients. Her eldest son was a child actor in India, so she was able to travel around with him. She has a passion for experiencing other places. When she isn’t at Exquisite Smiles, Jigna loves to travel or is glued to the ‘’Travel and Living” channel. Lindsey is the Senior dental assistant at Exquisite Smiles. She achieved her Cert 3 in Dental assisting to change her profession from the finance industry. She values honesty, family and friendship. Lindsey is married to Scott and has 2 grown-up boys. Knitting, gardening, reading and travelling are her hobbies. She likes chocolates, coffee and loves to sleep through cold mornings. The Exquisite Smiles Team are passionate about our patient experience. 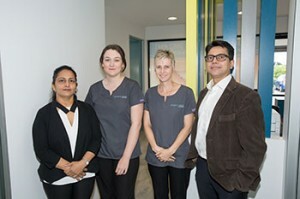 Dr Rajeev and Jigna are joined by a friendly, experienced support team including Lindsey and Chantelle. 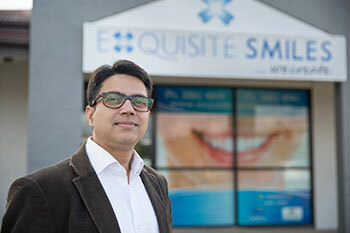 Our team are here to ensure that your visit to Exquisite Smiles is a comfortable experience. We aim to always operate with honesty and integrity and make sure our patients are supported with excellent care and all the information you need, every step of the way. We can’t wait to welcome you and your family to our practice. Experience high-quality dental care from our knowledgeable team. We can treat children under the Child Dental Benefits Schedule (CDBS) funded by Medicare and have on-site HICAPS processing for instant health fund claims. Contact us today!